Now there is a new study published in a peer reviewed medical journal that NVIC has helped to make publicly accessible to everyone, which reveals that developed nations with poor infant mortality rates, like the U.S., tend to give their infants more doses of vaccines before age one.10 The study’s authors found “a high statistically significant correlation between increasing numbers of vaccine doses and increasing infant mortality rates.” To put this into perspective, doctors give American babies 26 doses of vaccines before age one, which is twice as many vaccinations as babies in Sweden and Japan get. Is it really just a “coincidence” that the infant mortality rate is twice as high in America compared to Sweden and Japan, where half as many vaccinations are given to very young babies? A mother and father’s worst nightmare is to watch their baby die before reaching their first birthday. When a healthy baby dies unexpectedly shortly after routine vaccinations, often parents ask legitimate questions about whether the vaccines did it. They are usually met with quick denials by doctors and public health officials anxious to defend the safety of vaccines. This is not a very good health report card for a nation that, in the last 50 years, has paid tens of trillions of dollars to the pharmaceutical industry, public health agencies and pediatricians telling us to trust their advice about how to keep our children healthy. More health insurance and more “medical homes” will not turn F’s into A’s on that bad health report card. Exactly 25 years ago, in May 1986, I joined with mothers and fathers, whose babies died after DPT shots, and gave a presentation to the Centers for Disease Control in Atlanta. 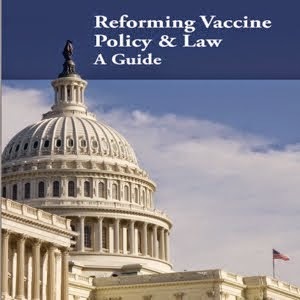 We told physician members of the CDC’s vaccine policymaking committee, who wanted state legislators to strictly enforce laws legally requiring children to get 23 doses of 7 vaccines starting at two months through age six, that doctors did not really know how many children were dying after vaccination. 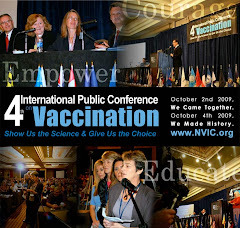 You can read the transcript of that 1986 CDC meeting32 on NVIC’s website and decide for yourself whether anything has really changed in 25 years except the fact that, now, public health officials are ordering doctors to give children 48 doses of 14 vaccines starting on day of birth through age six, with half of those doses given before age one. A death is a death, no matter what the cause. Every death that occurs after vaccination cannot be automatically presumed to be causally related to the vaccines recently given. However, to assume that all or most infant deaths, which occur within hours, days or weeks after vaccination, are just a “coincidence” and not related to vaccination is both scientifically implausible and dangerous. 21 Bethell CD, Kogan MD et al. A National and State Profile of Leading Health Problems and Health Care Quality for US Children: Key Insurance Disparities and Across-State Variations. Academic Pediatrics 2011; 11(3S): 22-33.